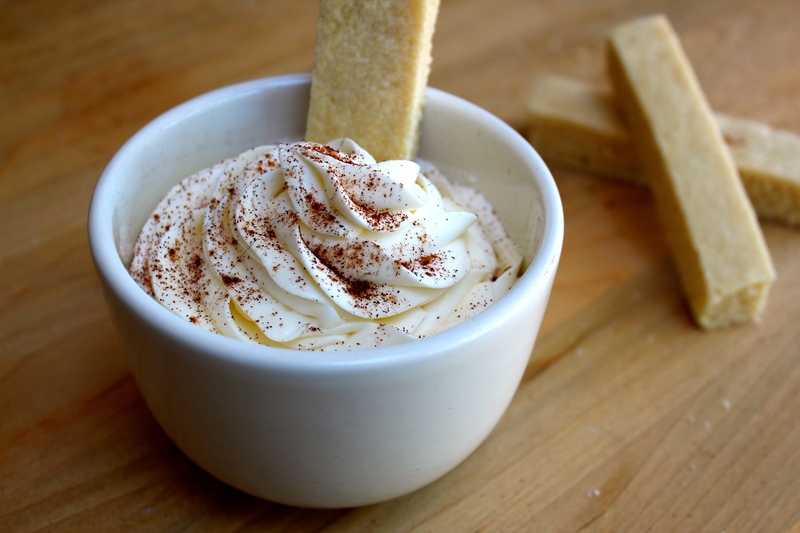 Happiness Project Recipe #60: Anniversary Cookie Bars & Snickerdoodle Frosting Dip! 10 years. May 15th was an incredibly special day for my Husband & I. Because May 15th represented an entire 10 years of being together. An entire decade. Of facing more challenges than many would face in their entire lifetime, more or less 10 years. A story most of you know very well. Because being expressive about all the ups, downs and most beautiful things and people in my life thus far, is who I am. Most especially in regards to my Husband. Who I knew I was meant to spend the rest of my life with, 10 years ago, on our 3rd date, on a darkened beach in Santa Cruz. 10 years of happiness, joy, tears, & pain, but most importantly, love. Real love. Grown up, every day, loving-this-one-person-through-everything-kind-of Love. A Love that has journeyed through fire & back yet come out better and brighter, in the best of ways. This Love between this one man and I. A Love like no other. Real Love. So to honor this most beautiful day, I gave this Man of mine another little a piece of my Heart. Through a whisk and a spoon. A little bit of cinnamon and a whole lot of sugar. Because this is one of the most significant ways that I give to those I hold so dearly within my Heart. This gift of myself through my kitchen. Hence his favorite dessert flavor of all time. Snickerdoodles. With a side of cookies. In the yummiest form ever: cookie bars! Which are perfect, seriously perfect, for dunking. From my Heart to your Kitchen, may you enjoy this special treat just as much as my Husband does. Preheat your oven to 350F and lightly spray one 8×10 inch glass baking dish. Line the sprayed dish with parchment paper, leaving just enough excess on each side to create an overhang. Once the cookie dough is stiff enough to roll into a large ball, lightly flour your pastry board AND rolling pin (so that the dough doesn’t stick to either surface while being rolled out). Roll out the dough to about 1 inch thick. Now gently and loosely transfer the rolled out dough into the prepared baking dish. Once transferred, using another piece of parchment paper, gently but firmly press the dough into the full baking dish. Bake for 15-18 minutes, until the pan cookie is firm to the touch and slightly browned on the very edges of the dish. Let cool in the dish for 10-15 minutes. Now before you go on removing the giant cookie with the overhang of parchment paper, use a small pairing knife to cut that giant cookie into cookie strips (or bars). Then remove the entire cookie from the dish with the parchment paper. Set aside to cool throughly. 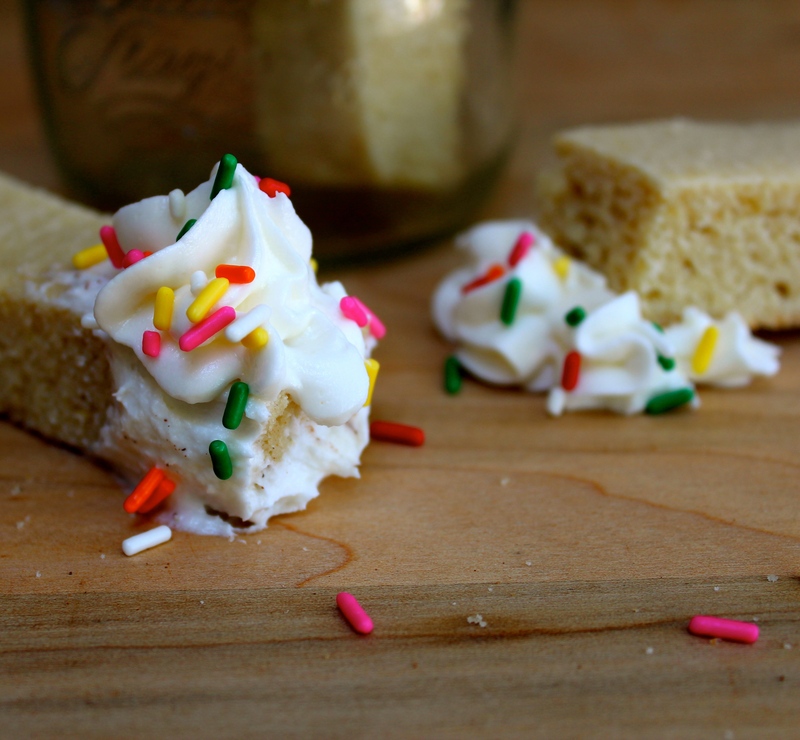 Next up: the Frosting Dip! On your stand mixer, cream the butter until light and fluffy. Drop the mixer speed down to low and gradually add in the 3 cups of powdered sugar. Mix until fully incorporated. Switch your mixture speed back up to a higher setting and add in the kosher salt, followed by the heavy whipping cream. Whip for 3-4 minutes until the frosting has nearly doubled in size. Lastly, but most importantly, add in that ground cinnamon. Which kinda MAKES this frosting, in my Husband’s opinion. AND spread onto those cooled cookie bars! Or use as a cookie dip. Which is even more FUN! « Happiness Project Recipe #59: Strawberry-Lemonade Toddler Ice Pops! This recipe looks super simple, I cant wait to try it! I am always looking for an easy good cookie recipe! Congrats on ten years. This looks and sounds delish! Congrats on ten years! =) Those cookies look awesome. To have a dip for them sounds heavenly. I’m going to make this to take to girls camping weekend. They’ll love it! We share the same anniversary! What a perfect day. This recipe looks delicious, can’t wait to try it! Snickerdoodles are one of my husbands favorites also. Congrats on the milestone anniversary!